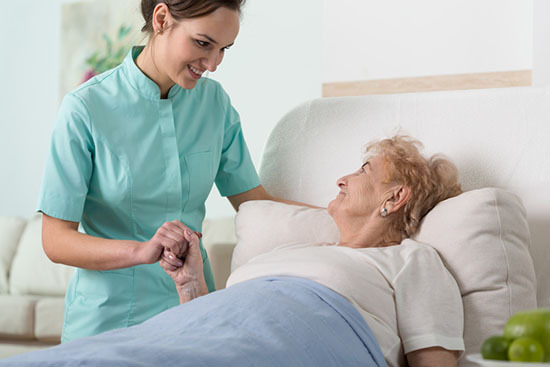 Eben Ezer’s skilled nursing facilities are staffed with caring and professional nurses and nurse assistants. Residents are evaluated regularly to provide as much independence or attention as the person needs. Nutritious meals and snacks are served to each resident with special dietary needs and preferences carefully considered. A variety of activities are offered several times a day in various locations of the facility. Greater autonomy of meal choice, bath and bed times; access to snacks between meals; and inclusion of our residents in meal preparation. Denver Zoo, dinner at local restaurants, and Colorado Rockies games. Intergenerational programs where over 150 youth participate annually with things such as reading, playing games, delivering ice water, making crafts, taking walks, gardening, playing bingo and transporting residents to various activities. Plants and animals, including a live-in Labradoodle named Moses. A “neighborhood model” for living which includes several separate small communities with a common living, dining and kitchen areas, as well as shared nursing and housekeeping staff. This approach helps promote companionship among residents and provides familiar, consistent and nurturing care. Respite Care provides temporary relief to those who are caring for family members who might otherwise require permanent placement in a facility outside the home. Even though families take great joy in providing care for their loved ones so they can remain at home, the physical, emotional and financial consequences for the family caregiver can be overwhelming. Respite care provides the family caregiver a much needed temporary break from the often exhausting challenges. Eben Ezer provides opportunities for short-term respite care in the skilled nursing center or assisted livings. Special private rooms are available for persons and their families who are facing end-stage illness.